A free trade deal between the US and Morocco was supposed to increase development in North Africa—not flame labor conflicts and union suppression. Five years after Occupy Wall Street and the Arab Spring erupted on the world stage, the wave of youth-led protests have largely retreated into the social margins, pushed back by vicious reaction from the political and economic establishments. At least in one corner of North Africa, though, the sentiment behind those movements is still resonating. 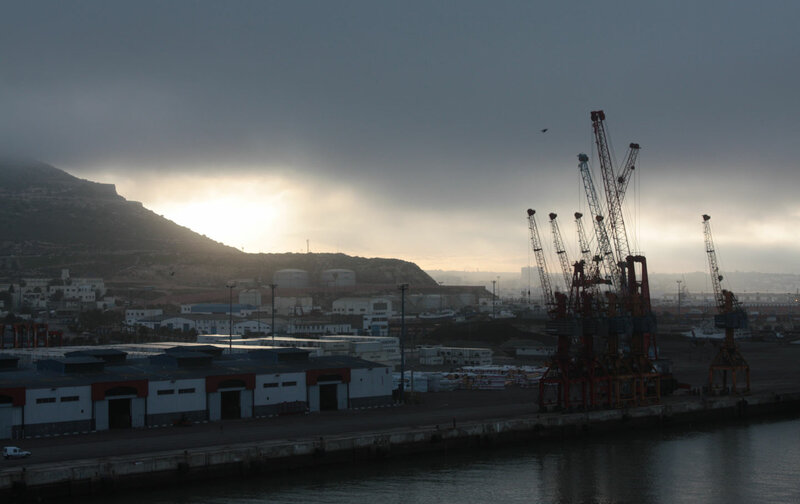 The conflict appears to fit a pattern of labor conflict both within Morocco and across the global seafood industry. The IUF’s fishing industry campaigns have faced massive challenges in protecting workers at large multinational processors like Philips and Philippines seafood exporter Citra Mina, which have been accused of abetting or committing abuses across the supply chain, including suppressing organizing efforts, safety violations, precarious employment, mass firings, and “slave like” conditions on fishing boats. According to IUF representative Kirill Buketov, who is in contact with union activists on the ground, the retaliation for organizing the DOHA workers have apparently faced reflect “a general problem for the whole sector—in most countries fish workers denied their very basic rights for organisation.” Local and international labor activists now fear the strike could also have a chilling effect on the broader labor movement in Morocco. The apparently weak labor protections suggest the limitations of the civil society movements that blossomed in the Arab Spring, as well as the failed promises of trade liberalization as a modernizing force in North Africa. The Morocco-US free trade deal, enacted in 2006, aimed to usher in bilateral trade and “development,” but persistent reports of labor conflicts and union suppression suggest that as long as economic exploitation remains endemic to the neoliberal economic structure, transnational commerce likely won’t encourage meaningful social reform but, rather, reinforce existing hierarchies. Though Morocco is considered a relatively stable country within the region, the labor movement, similar to Tunisia and Egypt’s unions, has had an uneasy relationship with the state since the season of protests, sit-ins, and strikes in 2011. Buketov notes that the DOHA union is one of several new labor organizations that “were inspired and formed during the Arab Spring.” Shortly after protests erupted, Morocco’s soft-authoritarian government looked to tamp down the unrest by inaugurating “social dialogue” with civil society, opening a path to significant, if modest, reforms in the government sector and soon, the recognition of new independent unions. It was not a revolution, but a step toward a viable civil society. And Morocco has remained relatively stable compared to its chaotic and warring neighbors. But across the region, the labor left, historically frustrated both by government co-optation and by partisan conflict, faces uncertainty. There have been periodic mass labor protests in recent months, and recently Morocco’s four major unions have called for a general strike in late February to protest austerity policies. Nonetheless, the political energy unleashed by the Arab Spring ultimately did not produce structural economic changes that drove the unrest. After all the social turbulence that the 2011 uprisings stirred, and all the political expectations it inspired, none of the changes have been quite radical enough to satisfy the modest desire that drove people into the streets five years ago, and still drives the DOHA workers today: dignity and decent work.